Everybody wants to breath clean air, both at work and at home. Air filters and purifiers can help reduce the spread of allergens, harmful bacteria, and even viruses, not to mention dust. Rather than purchase portable room air purifiers, which have limited effect, we recommend a whole-home air purification system. Air Tech offers our customers two very powerful and effective options for whole-home air filtration and purification that can be used together or separately in a residence or business: HEPA filters and UV air purification. A HEPA filter, or high-efficiency particulate arresting filter, is an air filter certified by the Department of Energy to filter out 99.97% of particles that have a size greater-than-or-equal-to 0.3 microns. A micron is one-millionth of a meter. The human eye cannot see anything less than 10 microns, and most bacteria are between .3 to 60 microns. So, in other words, a HEPA filter gets rid of just about all the bad stuff that could be present in the air entering your home—especially since many HEPA filters on the market go beyond the minimum requirement and filter out particles even smaller than .3 microns. The bad news is that you can’t just go to the home improvement store and buy a whole-house HEPA filter and use it to replace your current filter. It must be professionally installed in your ductwork. The good news is that Air Tech can do this for you very affordably, and once installed a HEPA filter only needs to be replaced about once every 6-12 months (vs once a month for traditional filters). Over time this will more than pay for the initial cost of installing the filter, and you’ll reap the benefits of breathing cleaner air. Another option for making the air you breathe cleaner and safer is an ultraviolet light air purification system. Air Tech installs the award-winning HALO UV light air purifier, which can purify every cubic inch of air that passes through your central air conditioning system. It’s effective against particulates, microbials, and gases, which are the three main categories of indoor air pollutants. It can also reduce or eliminate odors from cooking, pets, musty rooms, or dirty socks. 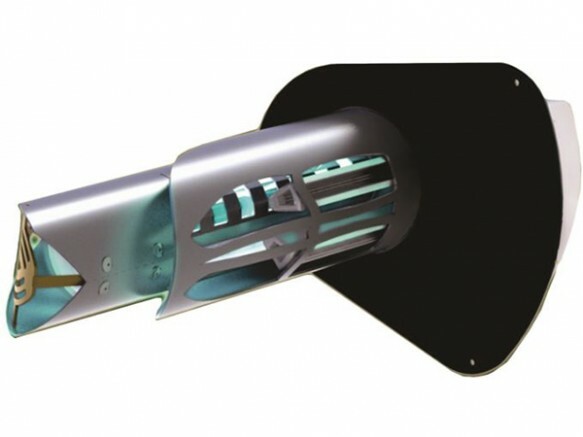 The HALO in-duct air purifier works by producing hydro-peroxide plasma that is distributed through the air handler. Unlike passive technologies like filters, the HALO system actively purifies the air throughout your house or place of business. At the same time, it makes whatever air filters you have more effective, because the charged plasma induces particles to stick together, which makes them more likely to be caught by your air filter. The HALO air purifier can integrate easily with your current HVAC system and operates silently in the background.